Step into a Winter Wonderland! Take your winter event to the next level by adding this unique photo-op piece for your guests. Step into the globe and create amazing memories and great photo opportunities for people of all ages! Several backdrops to choose from. 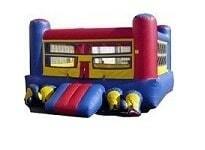 Please note: This is not intended to be used as a Bounce House. 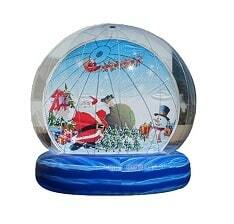 Capacity: 5 participants per turn, up to 150lbs ea. Max 750lbs. Minimum space: 14'L x 14'W x 15'H. Supervising Adults: 2 - Attendants included in price.